We have a few heritage Eastern-variety Common Lilacs that will live out their lives here. 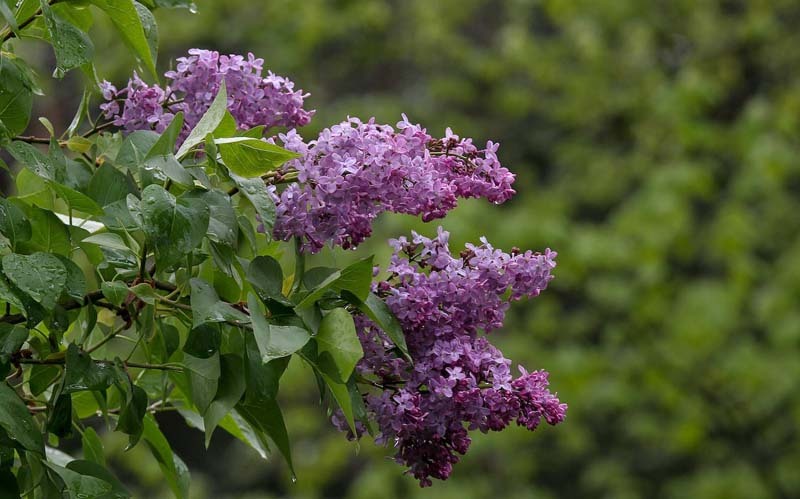 Even though their fragrance is divine, and their presence fondly takes me back to my midwestern youth, the lilacs struggle in this too-dry summer climate without irrigation. Surprisingly they have survived decades despite being stressed almost every summer. Lilac season!!! It's very short here in the northeast..but always welcome. Beautiful color and soft background blurr. Our bushes are just now getting leaves. With the spurts of rain we've been getting, everything is starting to pop out. This is familiar. I used to live in the Lilac City, one of them anyway. Best smelled on a warm summer night, I think.